2015 General Information - International Society on Thrombosis and Haemostasis, Inc. 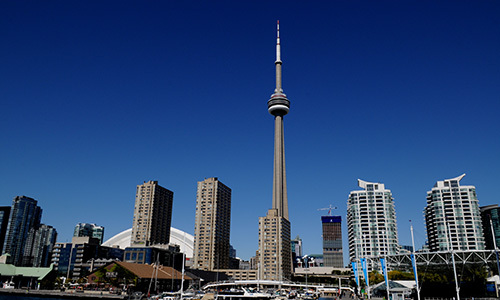 Experience Toronto’s Waterfront at the ISTH 2015 5K Fun Run! Click here for more information. The ISTH 2015 abstracts are available on USB sticks which will be distributed at the ISTH Booth (# 1036). Abstracts will also be available as an online supplement (only) to JTH as an open-access publication on the Congress app and on the Congress website. Participants who have booked their accommodation in advance via MCI can visit the Registration Help Desk counter located in the Registration Area for any questions related to their hotel booking. The staff at this counter will also help you to find and book rooms, if required and pending availabilities. ATMs are widespread and found in most banks, hotels and shopping centers. In the MTCC congress venue, ATM machines are located in the North wing inside the main entrance from Front Street; in the South wing on level 600 in the Registration area and on level 800 at the corner of Halls E and F.
Participants will receive their name badges when collecting their meeting documents on site. You are required to wear your name badge during all meeting events, including the All Congress Party (if you have purchased tickets). Please note that admission to scientific sessions and the exhibition is restricted to participants wearing their badges. Accompanying persons and exhibitors will not be admitted to the scientific sessions. Accompanying persons will not be admitted to the Exhibition Area and the Poster area except for the Welcome Reception on Sunday, June 21. The charge for the replacement of a lost badge is CAD 105. Only major banks exchange foreign currency. Credit Cards and Travelers checks are accepted at most (but not all) major retailers. Travelers checks should be issued in Canadian dollars for maximum convenience. Banking hours are Monday to Friday 9 AM to 5 PM. Currency exchange is also available at the airport. Furthermore, the Business Center sells a wide range of office and ICT supplies. You can also ship small packages there. The Business Center is located between the 2 Exhibition entrance doors on Level 800. Certificates of attendance will be distributed to all registered participants inside the congress bags. Conveniently located in the exhibition hall, 10 charging stations for mobile phones are provided for attendees to charge their mobile devices. Toronto has a humid continental climate. Summers are usually very warm and humid. The average temperature in June is 80 degrees F (27 degrees C) for a high and 65 degrees F (18 degrees C) for a low. The cloakroom (free of charge) is located near the Registration Area, Level 600. View information for ISTH 2015 CME via this page. If you need access to a computer while at ISTH 2015, you’re in luck! A Cyber Café is located for attendees to use in the ISTH booth (# 1036) located in the Exhibition area on Level 800. Plenary and State-of-the-Art lectures of ISTH 2015 will be captured and be available online for meeting attendees and ISTH members in the weeks after the meeting. The Congress bag including all delegate material will be distributed to registered participants at the Congress bag desk in the Registration Area. Please note that no replacements for lost bags are available. The ISTH 2015 Congress will publish its official e-Daily from Monday, June 22 to Wednesday, June 24 and a post-congress issue two weeks following the meeting. The e-Daily will be sent via email to all congress registrants, can be accessed via the Congress App and directly at www.isthcongressdaily.org. Use your mobile device to navigate the ISTH 2015 Congress. Download the Congress App from your respective app store! The ISTH 2015 Mobile App is free for meeting participants and ISTH members. It conveniently provides iPhone/iPad, BlackBerry, Windows, Android and other smartphone and tablet users with on-the-go access to the ISTH 2015’s most exciting, informational and interactive features, such as program overviews, speaker and abstract information, general meeting and exhibitor information, venue and city maps and tips. The Canadian dollar (CSD) is the unit of currency and is divided into 100 cents. For denominations under five dollars, coins are used. Any form of duplication (recording, audio taping, photography and video) of sessions is prohibited without expressed written consent of the author and Congress organizer. 110-120 volts, 60 Hz. Plugs are mainly the two, flat-pin type, although three-pin plugs are also widely used. Appliances without dual voltage capabilities will require an adapter, which can be purchased in most major departure airports. 911 for all emergencies (police, fire, medical). Callers will then be placed through to the appropriate emergency service. Calls are free from pay phones. It is recommended that participants obtain adequate insurance coverage for travel, health and accidents before they depart from their countries of residence. ISTH and MCI as organizers cannot accept responsibility for personal injuries, or loss of, or damage to private property belonging to the conference participants and accompanying persons. WIFI is available throughout the MTCC. The Cyber Café, located in the ISTH booth (#1036) in the Exhibition Hall, will be for the exclusive use of meeting attendees. The ISTH 2015 President’s Room is located in room 401 on Level 400. The ISTH secretariat is located in room 501 on Level 500. Found articles may be brought to the lost items collected from the Registration Desk on Level 600. Lunch is provided during the duration of the Congress. Lunch tickets will be provided as part of the registration package. The tickets are valid from Saturday, June 20 to Wednesday, June 24. From Monday, June 22 to Wednesday, June 24, lunch and coffee will be available in the Exhibition Area (Level 800). There will be continuous complimentary coffee stations throughout the opening times of the Exhibition during those days, too. Lunches will also be available in front of the meeting rooms of the lunch time symposia. On Saturday and Sunday, June 20 - 21 as well as on Thursday June 25, lunch and coffee will be available in the foyers of the session rooms. As a courtesy to speakers and other participants, all mobile phones and pagers must be switched off when attending sessions or symposia. A notepad and pen are included in the Congress bag. As part of the CME accreditation procedures, all speakers are obliged to provide disclosure of potential conflicts of interest. On the first slide of every presentation, these disclosures must be presented. The Speaker Ready Room can assist you with drafting this slide. Be advised that there is an Overflow room in the Exhibition, next to the Poster area. Should any session be full, the Overflow will be activated. We kindly ask that attendees DO NOT photograph, tape record, film, or use a cellphone to capture images of presentations at any time during the meeting as well as on the poster and exhibit floors. A pocket program will be provided to participants upon registration. It is an at-a-glance reference. It contains a program-at a-glance, venue information and map, information about Toronto and other useful tips. Posters not taken down after the dismantling time will be discarded. An all-denomination prayer room is located in room 830 on Level 800. ISTH 2015 will feature both a press lounge available for journalists attending the Congress to use and ISTH 2015 exhibitors as well as a press briefing room that will hold press briefings from 8:00 through 17:00 beginning Monday, June 22 through Wednesday, June 24. To use the press lounge, media credentials must be presented. Public relations and company representatives may enter the room to drop off materials to share with the media; however, we ask that they do not stay. All media are asked to follow the media policy in its entirety. For a full schedule of media briefings, see the board in front of the Press Briefing Room or stop by the press lounge for the schedule. The press lounge is located near the Registration Area on Level 600. Program changes will be made public via the official ISTH 2015 mobile app and the website. The month of Ramadan will fall during the ISTH 2015 Congress in June 2015. For those of you who are participating in Ramadan, we will have boxed meals available for you to take back to your rooms in the late afternoon each day of the Congress. Please indicate on your registration whether or not you will need a boxed meal. Toronto's culinary scene is one of the best in the country. Choose from upscale gourmet to home-cooked comfort foods from nearly everywhere in the world. Find more online here: www.seetorontonow.com/cuisine/. Restaurants usually open at 18:00, with busiest time between 20:00 and 22:00. Booking is recommended, particularly on Thursday, Friday and Saturday nights. If you’re happy with the service you receive, a 15-20% tip on the pre-tax bill is a standard expression of appreciation when dining out in the city. Note that some restaurants automatically add this gratuity when serving large groups, so be sure to check your bill. For more information and to find the right restaurant please visit www.dine.to/. Shoppers delight in trendy Queen Street West, Yorkville’s designer boutiques, fabulous malls like the Toronto Eaton Center and Vaughan Mills and the PATH, which features more than 1,200 shops in over 16 miles of underground concourses. Visit http://www.toronto.ca/ for more information. The ISTH 2015 Show Guide to Corporate Symposia and the Industry Exhibition is distributed to all participants as part of the delegate materials as well as on-site in literature racks in the registration area and the exhibition hall. It provides an overview and the detailed programs of the corporate symposia (Special Symposia, Satellite Symposia and Technical Sessions) as well as trade show floor plan, exhibitor and sponsor profiles. 1) Copyright law is observed; 2) verbatim information is limited to a few quotes, and; 3) the author or speaker is referenced and cited appropriately. To get the latest updates throughout the Congress, follow ISTH online via the following links. Congress hashtag via Facebook and Twitter: #isth2015. The ISTH 2015 State-of-the-Art manuscripts and abstracts are available on USB sticks which will be distributed at the ISTH Booth (# 1036). Both the State-of-the-Art manuscripts and abstracts will also be available as online supplements (only) to JTH as open-access publications. Abstracts are also available via the Congress app and on the Congress website. Visitors to Canada may qualify for a refund of some of the Goods and Services Tax/Harmonized Sales Tax (GST/HST) they have paid during their visit in Canada. Please visit the Canada Revenue Agency website for more information. Restaurants: It is customary to tip approximately 15% on the total bill before tax, 20% for exceptional service. Many restaurants charge an automatic gratuity of 15% or more for larger groups – typically 8 or more persons. Hotels: It is customary to tip the valet service and the staff that brings the baggage to a guest room as well as the chambermaids. Taxi drivers, hairdressers, manicurists, aestheticians etc: 10% is the common minimum. Overall, servers/wait staff are not paid well in Canada. However, when you see a “tip jar” on a counter in a bar, cafeteria etc. it is NOT necessary to tip. For city and restaurant information, please visit the Toronto Information Desk located near the Registration Area on Level 600. No transportation is provided during the Congress since the conference venue is very centrally located and all official hotels are within walking distance. If you need additional information on public transportation, please see: page 421. Travel Grant recepients can go to the specific “Travel Grant” desk at the Registration Area (Level 600) to receive their grant. Grants will be distributed between Monday, June 22, 10.00 and Thursday, June 25, 12 noon. Keeping hydrated is always important, particularly during a busy day at ISTH 2015. 15 distinct water stations are located in the exhibition hall for the convenience of our attendees. For more information on Canadian visas, please see this page.